Another YouTube-turned-picture tutorial! I posted this rose one yesterday, in case you missed it. This tutorial was quite hard to screenshot - it was my very first YouTube tutorial and there was no regularity regarding placement of my fingers! I got there in the end though. Hope you like it! Here's the YouTube version! Apologies for this video... it was made back in January and I knew even less of what I was doing than I do now! Please subscribe - I'm so close to 1000 subs! 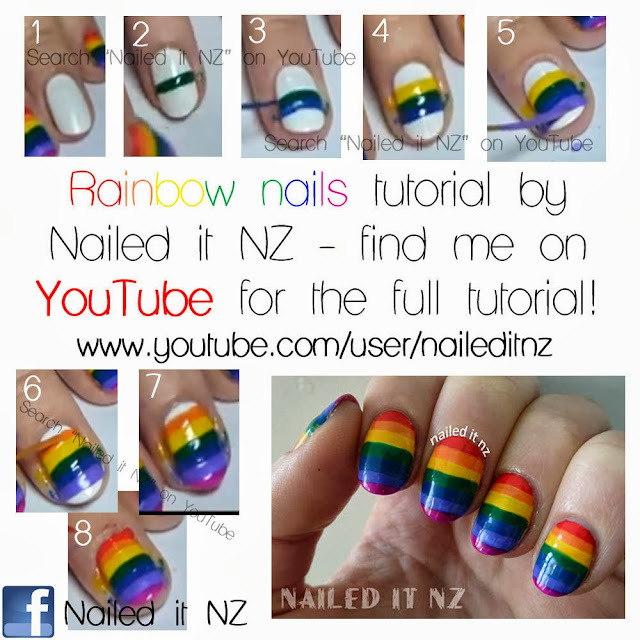 Great tutorial, thank you for sharing this :) I'm still yet to do rainbow nails and these look beautiful!